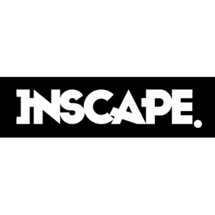 Inscape Education Management was established in 1981 as the first creative and multi-disciplinary design institution in South Africa. The institution places great emphasis on its people and their personal development within the microcosm. In 2016, its CEO was approached at an international recruitment conference to consider extending the institutions offering to The Middle East. The opportunity was accepted and in less than two years, the possibility of being the first South African institution to plant a campus in Dubai has become a reality. Inscape Education Management FZ-LLC has been established in the Dubai Design District. Accreditation has been awarded by KHDA (Knowledge Human Development Authority) and the campus is in operation and currently offering qualifications, short courses and software training. The institution has been commended on the quality of its offering, the ethos of the organization, its unique teaching approach and its progressive attitude towards digital transformation in education as a whole. "great teacher and very informative "